Sure, we love hair accessories. Give us a bejeweled headband any day of the week and we’re happy campers. So, it’s no surprise that we think that hair accessories ultimately make the look, but, what happens when we run out of inspiration and run into a bobby-pin bore of a rut? Why, we hit the runway of course! We’ve tracked down our favorite looks from Fashion Week to find inspiring, easy-to-do styles using our favorite hair accessories. From that covetable, bejeweled floral twist-up to a major color-blocking side swoop, we can’t seem to get enough of the neck-up accessories that this season has to offer. 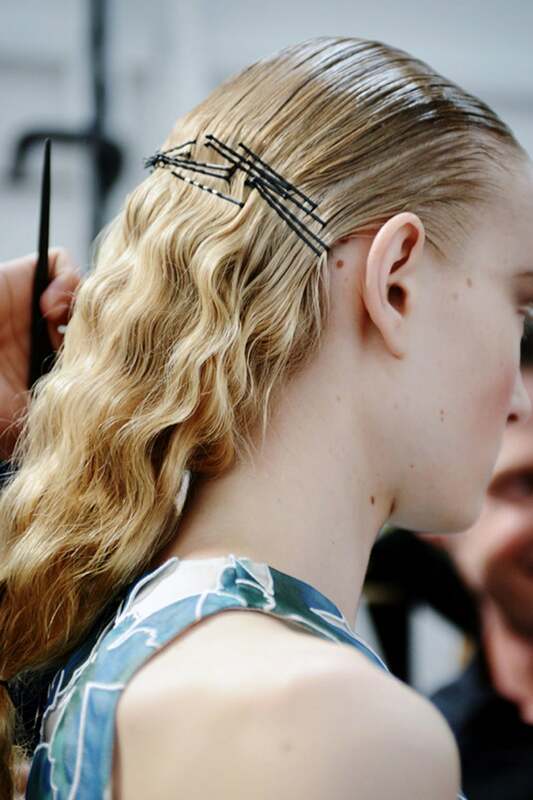 Click through to be inspired by nine inventive new ways to wear your adorned hair. We love a sleek updo as much as the next girl, but adding a thick, embellished headband to an elegant coiff is a look you don’t see every day. Here, at Carolina Herrera, the models topped their glossy locks with a sparkly, brocade headband, expertly placed at the crown of the head, creating the perfect mix of retro and modern. Adding floral clips to an unmistakingly messy updo may seem like overkill, but when the look is anchored by a traditional chignon, it all seems to work. 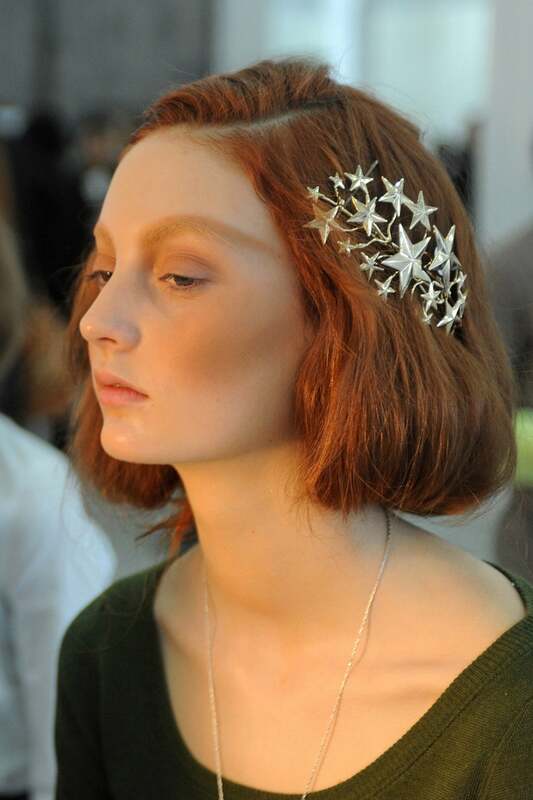 Here, at Tory Burch, the models sported Burch’s crystal floral clips, haphazardly peeking out of a disheveled twist. Inspired by Diane Kruger (and this model, here at Cacharel), who always seems to sport the drugstore classics in an unexpected way, we can’t wait to add a little flair to our sideswept ‘do by adding colorful, strategically placed bobby pins. Use them to keep your bangs off your face, or just place them in your hair for an instant pop of color. Bored with the classic ponytail? By adding an edgy leather barrette to this classic style, you can instantly take your preppy pony from boring to bangin’. 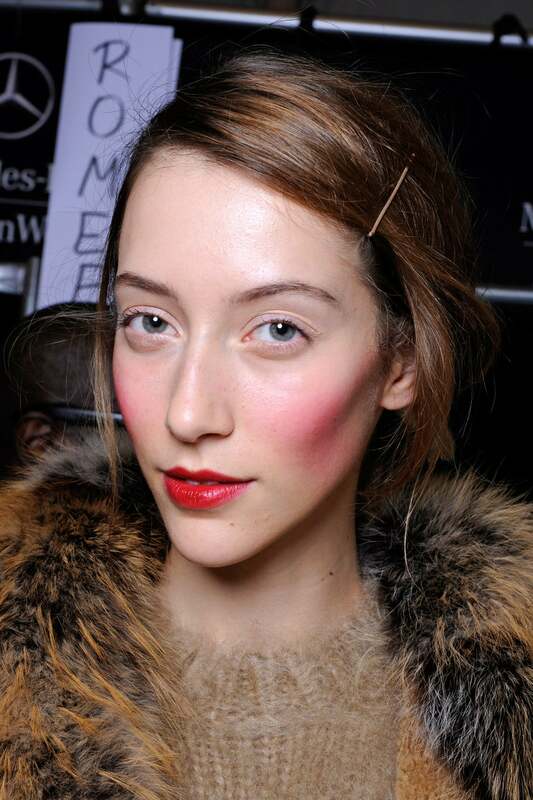 Keep your hair low to the nape of your neck for a classic look, or pull half of it up for a new twist on the, um, twist. Dolce & Gabbana was on to something, sending models down the runway sporting gold- and pearl-embossed headbands on top of classic, middle parted hair. The look was unmistakably glam while still being approachable and easy. Take a hint from the Italian duo and top your standard middle part with your own go-for-Baroque headband. 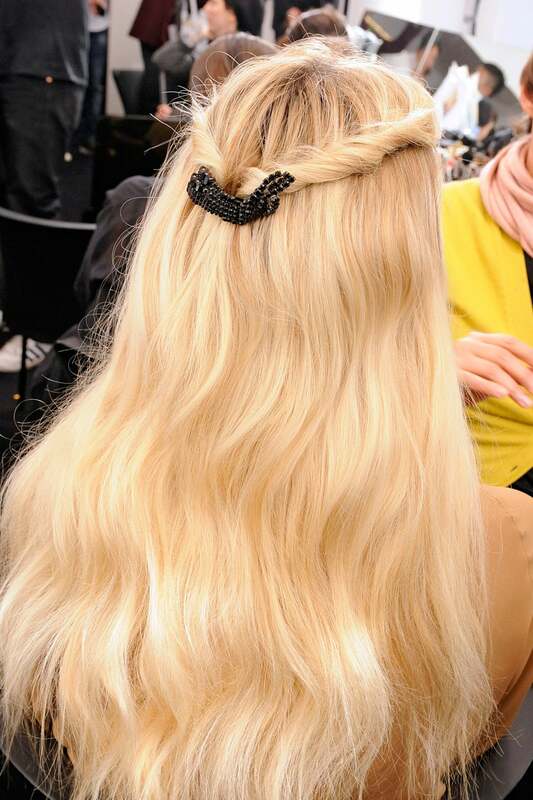 At Gucci, models walked the runway sporting simple twists loosely secured with a crystal barrette. This is quite literally a 10-second evening ‘do and we’re head over heels for it. 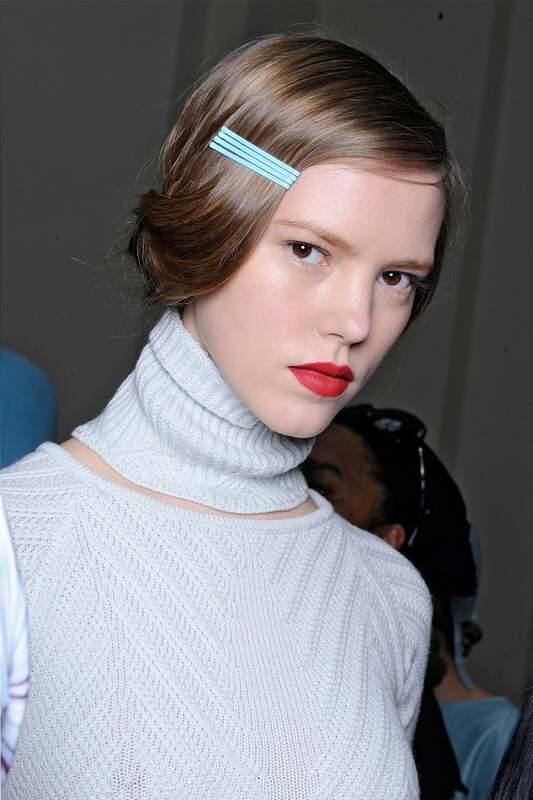 Another easy take on simple adornment: side-swept hair. At Michael Kors, the bright makeup look was front and center, due to the models’ bands being swept off their faces with a single contrast-color bobby pin. 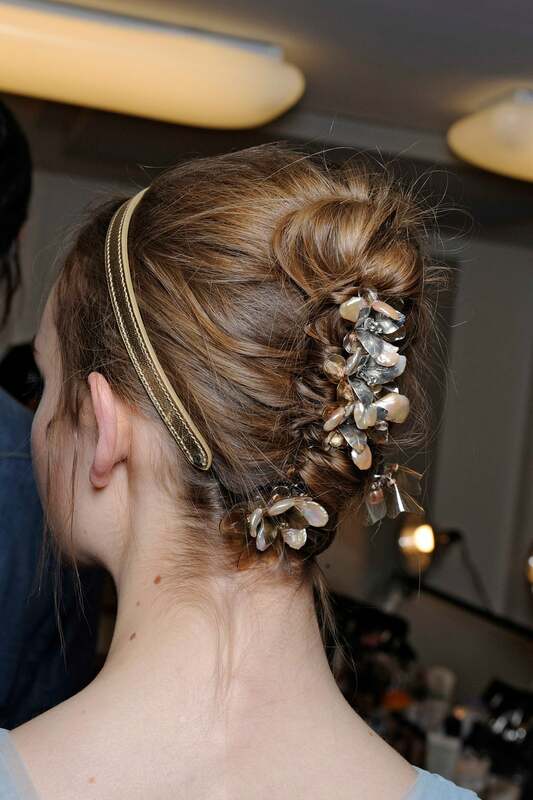 We love the idea of adding a little flair to the hair without getting too fancy. 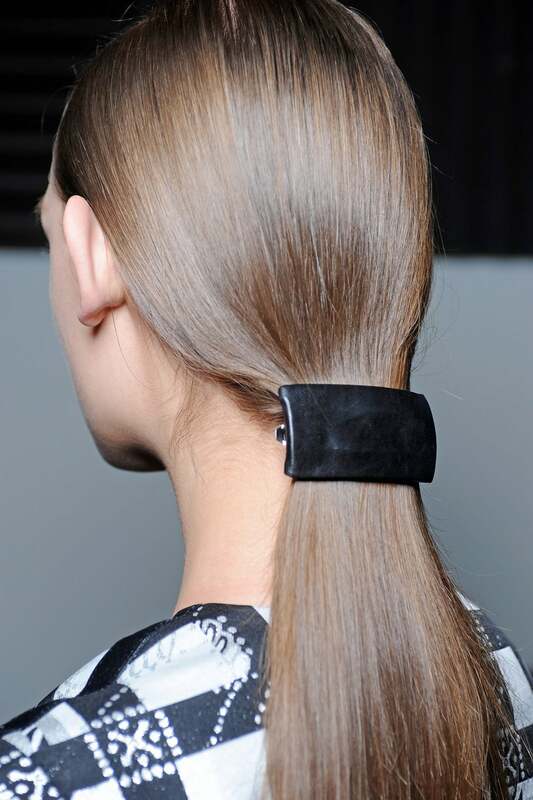 There doesn’t seem to be any functionality to the celestial hairpieces sported on the runway at Rodarte — these pretty clips are purely ornamental. Place one toward the side of your head for an eye-popping look or add a few smaller clips, clustered together, just above your ear. We loved how the hair at Thakoon looked very DIY and approachable (we wouldn’t have been surprised had we learned the models added the dozen or so bobby pins themselves, given how all over the place they were). It may seem like a lot but we love the sculptural effect it creates.